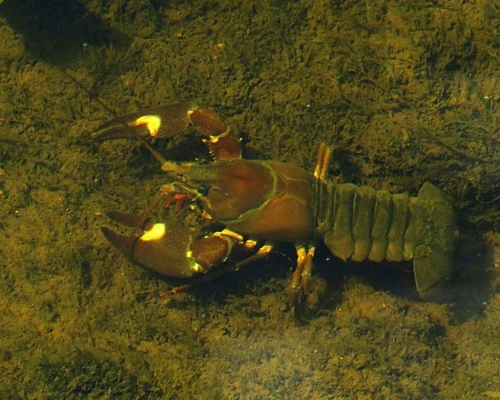 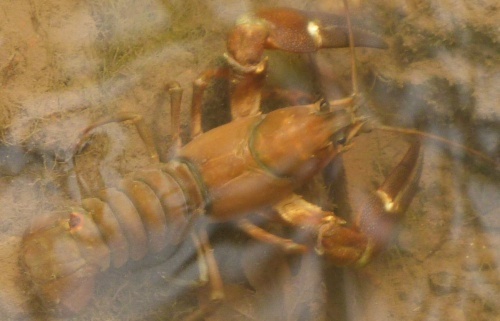 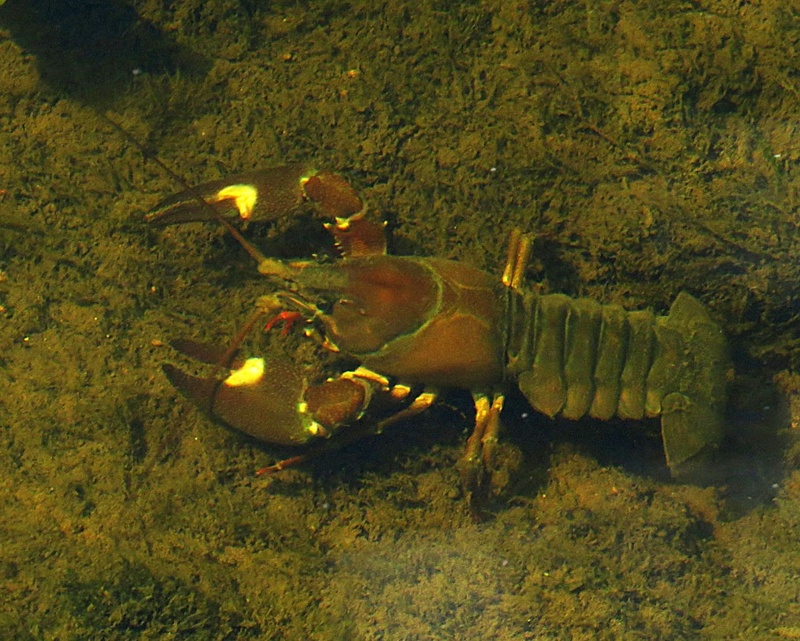 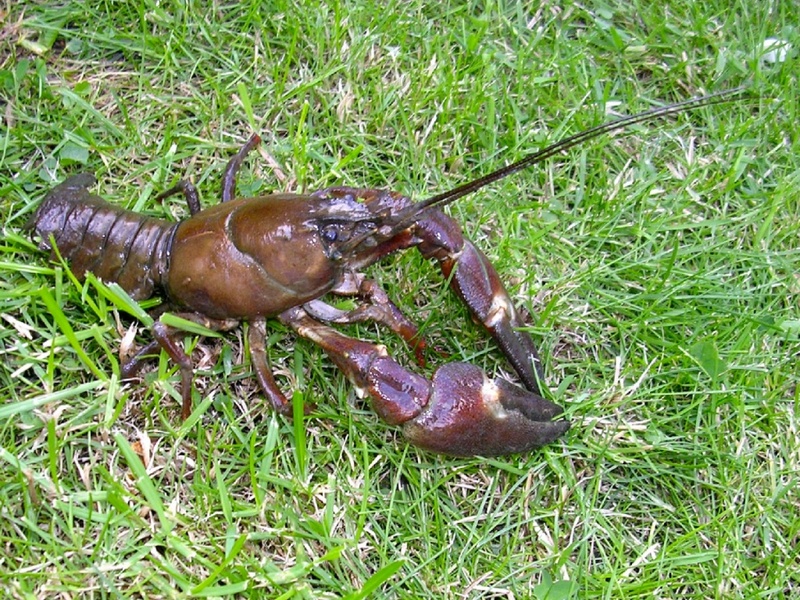 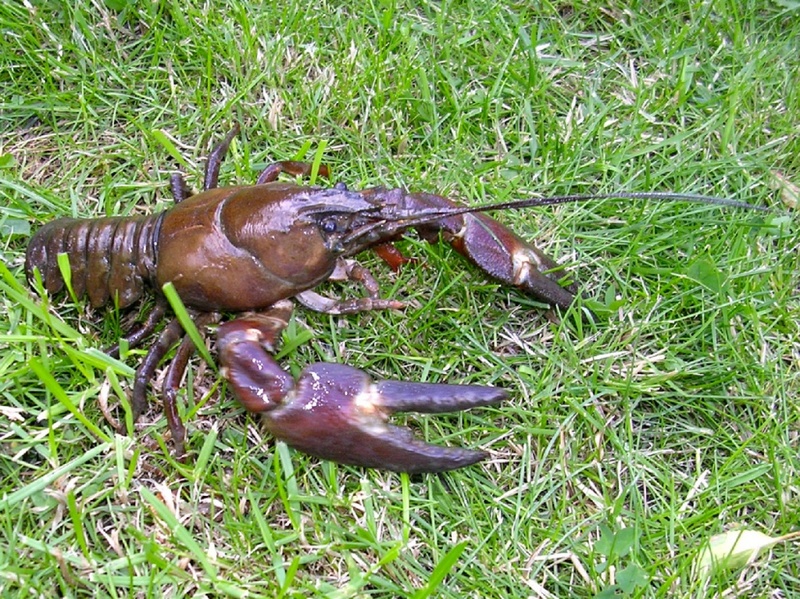 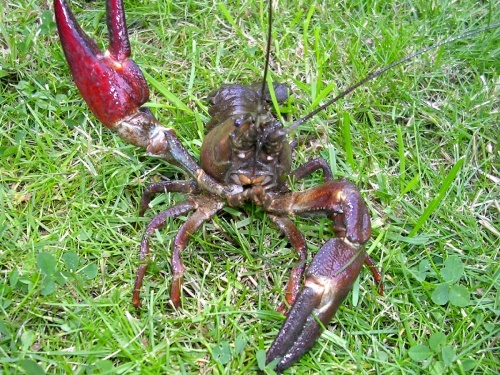 Introduced from the USA, these crayfish are up to 15 cm, encased in a tough shell and armed with two large smooth claws. 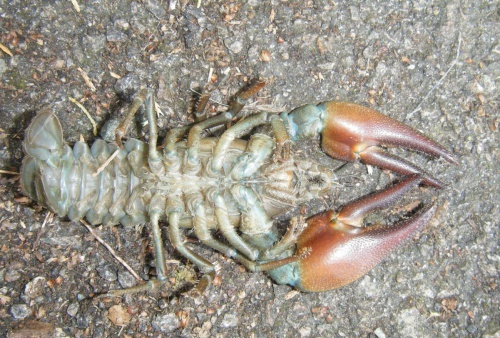 They are bluish-brown to reddish-brown in colour. 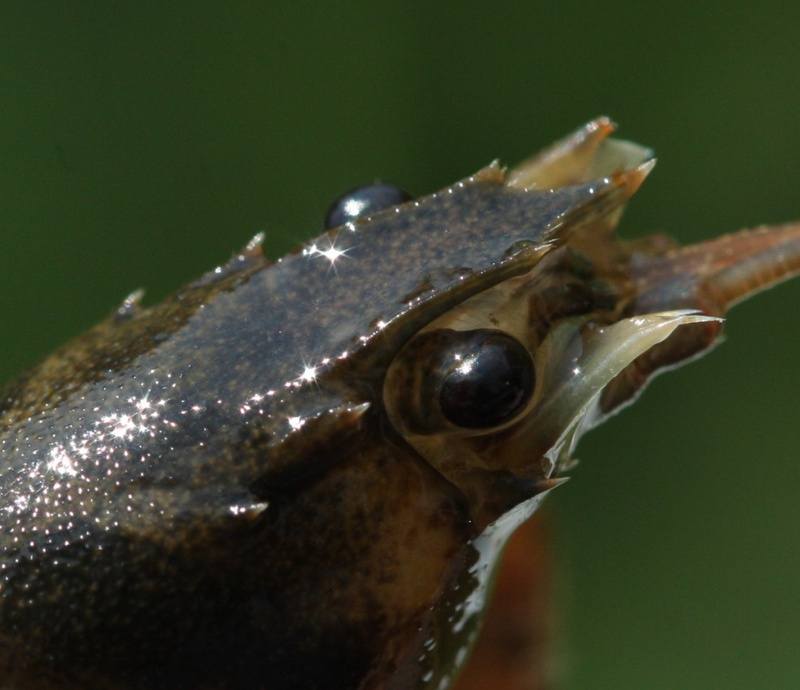 They have a white to pale blue-green patch near the claw hinge. 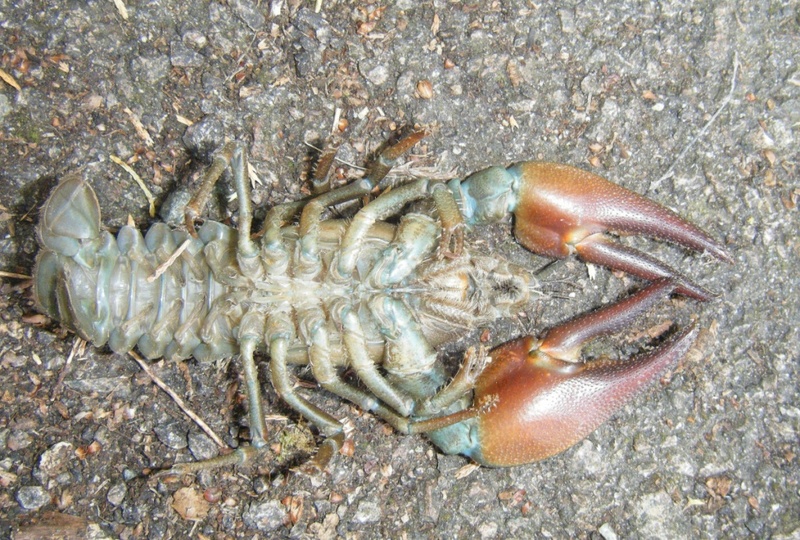 The claws are orange/red on the underside. 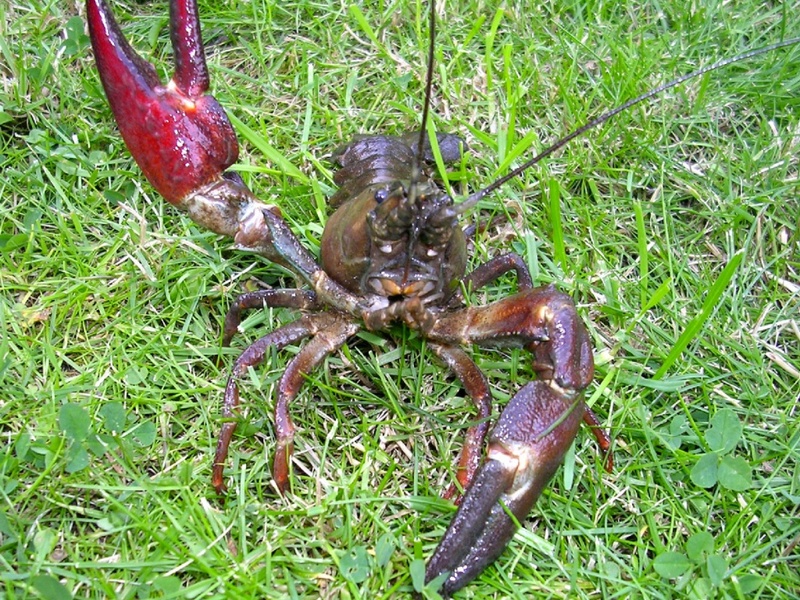 A voracious predator it will eat almost anything it finds including plants, invertebrates, snails, small fish and fish eggs. It is also a cannibal that makes a meal of its own young. 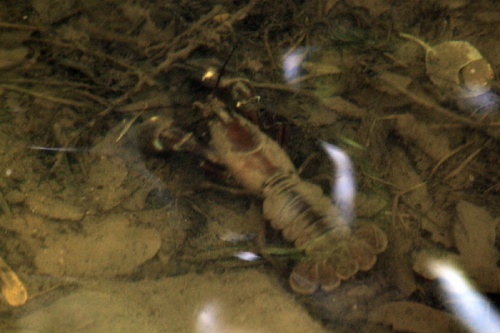 The Signal Crayfish digs burrows up to three feet long in river banks where each year it lays more than 250 eggs at a time. 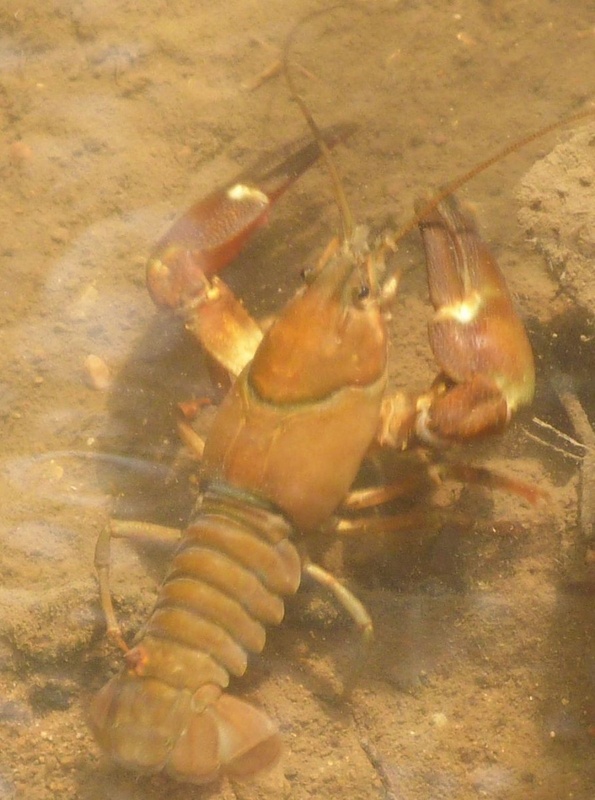 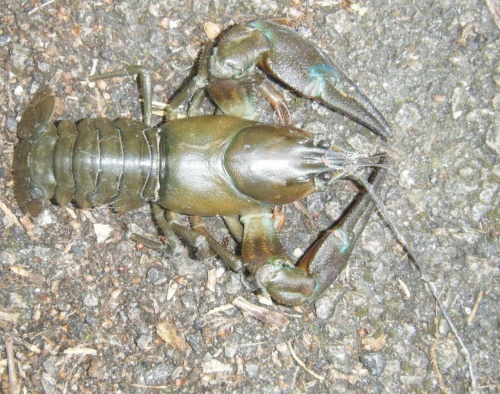 The spread of this species is threatening the future of our native White-clawed Crayfish. 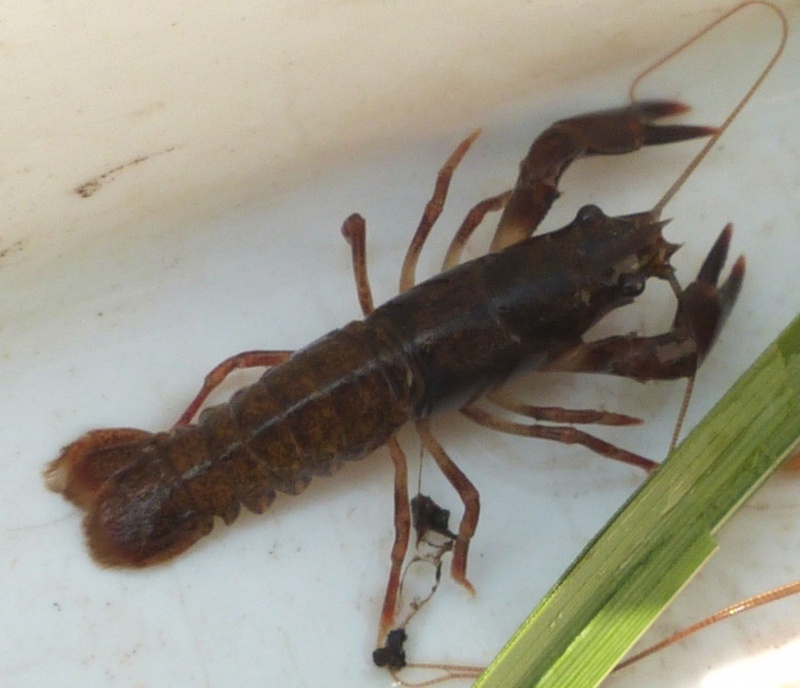 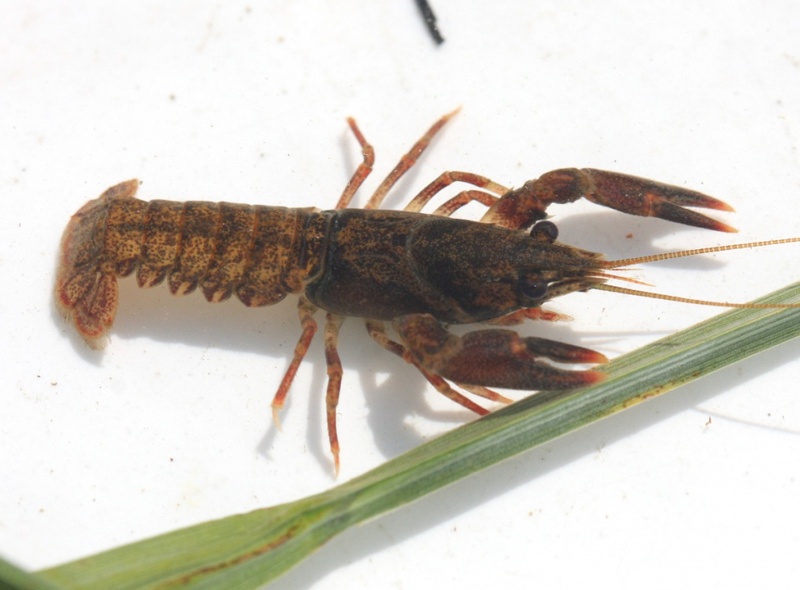 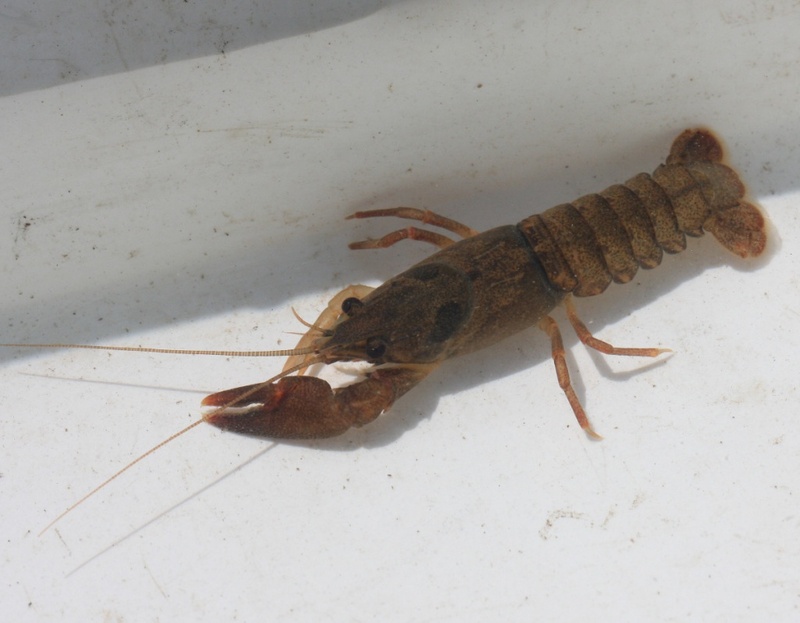 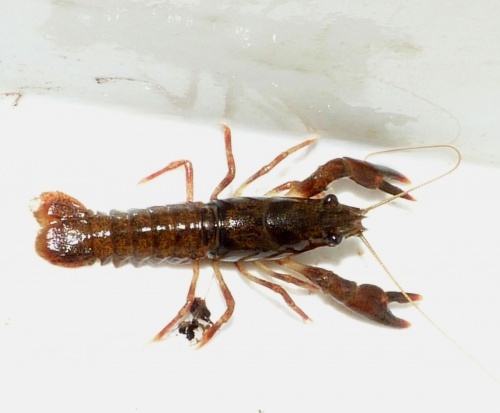 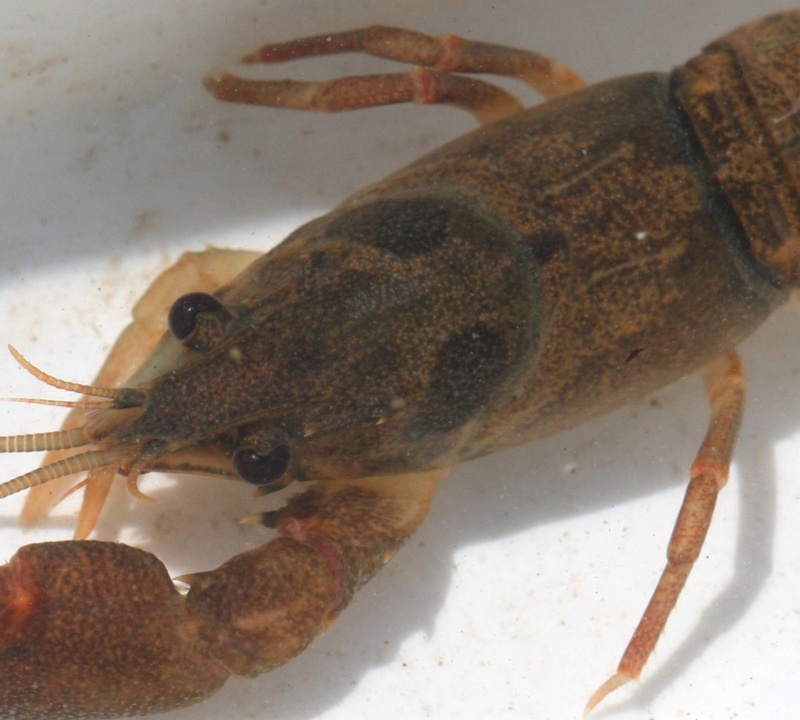 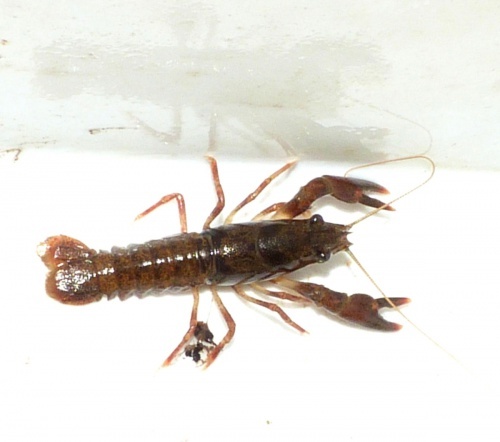 This invasive crayfish has now reached plague proportions in many parts of Britain and marine biologists have been desperately seeking a way of halting its relentless spread. It is also well established in Leicestershire and Rutland.